Magento V1 App integration is really easy with your Magento V1 Webstore. 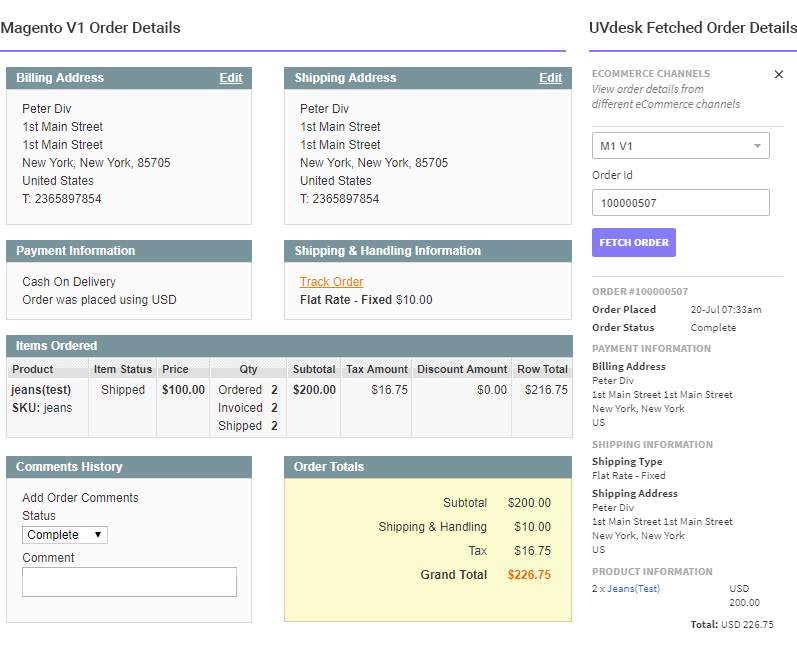 Just a few steps and then you are ready to fetch the order related details from your Magento V1 Store to Ticket System. For eCommerce App Integration with Magento 2 store, click here. On the Dashboard, you will see "APP CENTRE" menu and under it, you will find "Magento V1". Click on that button and Magento V1 App will get installed. Alternately, for uninstalling the app, go to Magento V1 "Overview" section then click on Uninstall button. 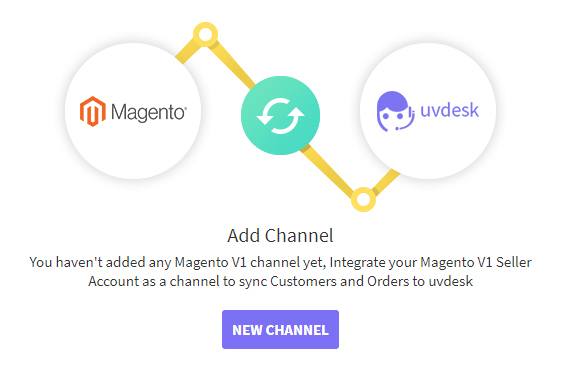 Now go to the "Configure" tab and click on "New Channel" to add new Magento V1 Channel in the UVdesk. 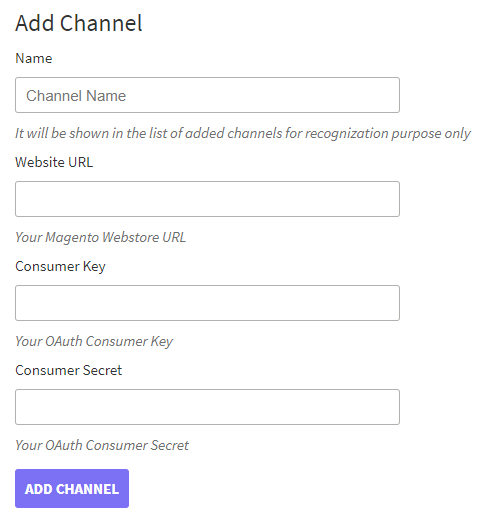 For adding the channel enter Name, Website URL, Consumer Key & Consumer Secret. Now, enter the name and Current Admin Password and then save it. 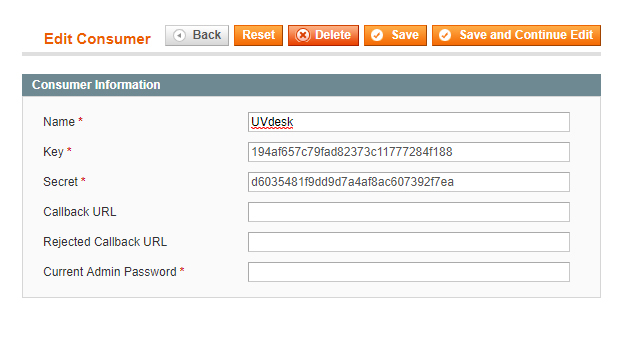 After saving, you can copy the "Key" and "Secret" and paste in the UVdesk Panel. Now, you have to create Rest Role from the admin panel by following the path: System > Web Services > Rest Roles. Now, under the "Role API Resources" select the "Sales Resources", which the admin can access by "Rest Role". Follow the path: System > Permission > Users and then you can click on the existing user or create a new user. On clicking or creating a new user, you will get "REST Role" tab on the left side. Click there and you have to select the "REST Role" which we have created in the above steps.